<firstimage=”//static.makeuseof.com/wp-content/uploads/2011/08/00a_googleplus-plus.jpg”> The spotlight of the social networking realm is currently on Google+. It’s still very young, but the user growth is amazing. The latest data says that there are already more than 18 million Google+ users out there. While most people are busy comparing Google+ with Facebook, and trying to figure out which one they should choose and use, there are those who have built tools to combine all of these social networks together and have the best of all worlds. 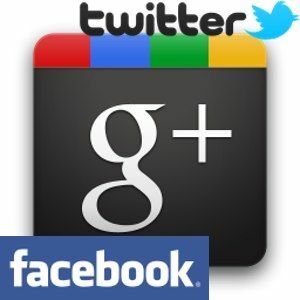 One of these tools is G++, a browser extension for Chrome and Firefox which will help you put your Facebook and Twitter stream into your Google+ interface. 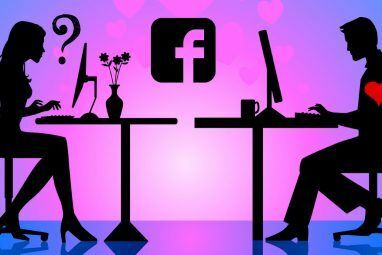 People have put time and effort into building their Facebook universe, so most Facebook users might reject the thought of switching to another social network and rebuilding their universe from scratch. Keeping and updating two social networks simultaneously might also be a tedious effort for some. With G++, you don’t have to make the choice. To put your Facebook and Twitter streams in your Google+, visit the G++ site using either Chrome or Firefox (or both), and click the “Add” button to download and install the extension. Your browser will ask for your permission to do the installation, click “Install” to confirm it. Then sign in to your Google+ account to see the extension in action. After your Google+ stream page is loaded, you will see three checkboxes at the top of the page: Google+, Facebook and Twitter. All you have to do to enable or disable the stream is to check or uncheck the boxes according to your preferences. You can even disable Google+ and view only the Facebook or Twitter stream via the Google+ interface if you want to. The first time you enable Facebook and Twitter, you will be asked to authorize G++ to access your accounts. First time users have to go through one activation process before they can continue with the second account. To activate Facebook, you have to disable the pop-up window blocker. To allow the pop-up window only for this one time activation process, click the “Log In | Facebook” link in the warning window. After the authorization process, you will be brought back to the stream page. Make sure the boxes are checked, then click the “Refresh Stream” button to fetch your streams from Facebook and Twitter. You can quickly distinguish the entries by the color and the small logo at the top right corner of every entry. Aside from viewing the streams, G++ also allows users to retweet Twitter entries, as well as Like and comment on entries from Facebook. The advantage of combining Google+ with Facebook and Twitter is the ability to post to all these accounts at once. All you have to do is type what you want to share (along with images, videos, links, and location tags), check the Facebook and Twitter boxes next to the “Click to Post to FB/Twitter” button, then click the button. To check whether the extension is functional or not, I immediately went to my Facebook wall and I saw that the post was already sitting there. The post also appeared in my Google+ stream page – both the Twitter and Facebook version. I saw a comment to my post from one of my friends. I clicked the “Comment” link, typed my reply, then clicked the “Submit” button. A moment later, my reply appeared under the comment, as if I was using Facebook in its native environment. You can easily disable G++ if you want to by checking one of the on/off boxes at the top right corner of the web interface. After playing with G++ for a while, I think that this is a very useful tool. But, if I could request one thing to the developer, it would be the ability to connect to other popular social networks. Are you a social network freak? Do you think you need G++ to help you keep up with your Google+, Facebook, and Twitter account? Do you know of other similar alternatives? If so, please share your thoughts using the comments below. Explore more about: Facebook, Google Chrome, Google Plus, Mozilla Firefox, Twitter. All you need is chrome, work perfectly. but if only Chrome would ever work properly. Still waiting for a stable release. did you check out the comments further down from Mark? He had the same issue, but it worked with Jeffery's suggestions. Does it also post images in Facebook? There is a Firefox download, click on the "Add to Firefox" downloads the plugin to your computer as a .xpi file and you will then have to then install it from the "Add-On" page of Firefox by clicking on the gear icon and select "Install from a file". It's a little quirky as in that you have to click on "G++ Share" to publish your posting to FB/Twitter and then click on "Share" to publish within Google+. But it works with AdBlock Plus and Pop-up Windows disabled (you need to allow it to open that first pop-up to enable the FB integration, but that was it). Another developer request - the ability to select FB pages to post to vs. personal profile only. Also, I have to remember to keep my Google+ posts to <140 characters in order to post to Twitter. Not convinced I will use this for these reasons, esp since already have the ability to connect Google+ to these accounts via my settings. Only thing i'll miss is the ability to integrate these other streams into my Google+ stream... but i can live with that. It works fine for me. 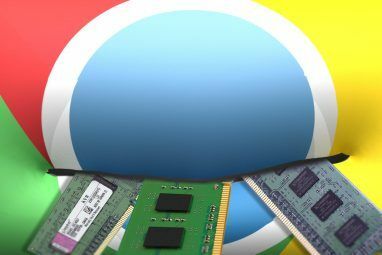 I am using Google Chrome on a Windows 7 computer. I tried the extension using Chrome and Firefox both in Windows and Mac, and everything works fine. I don't know why it doesn't work for some of you guys. Well I installed it in FFox 5.01,6beta and 7a2 and all three of them have the same problem. The G++ text and check boxes that should be at the end of the Find People line is wrapped around and is chopped in half. I enabled the Twitter integration into Google+ and then could not disable it. I unchecked the box for integrating Twitter in Google+ and did not remain unchecked. Well, I don't know what happened in your system. But based on your description, I think the page (or extension) does not load completely. Usually, this is caused by unstable internet connection, corrupted extension, or because something prevents the page to load properly (maybe one of the other extensions?). You might want to try to redownload and reinstall the extension, and also try to disable other extensions to narrow down the problem. Well I tried it again and this time I was able to get it installed properly. However I am still having problems with FFox 6 beta, which by the way will be released this Tues. I enabled the Twitter stream and there is no way of unchecking Twitter feed and keeping the check mark removed. The only way of removing it was to delete the gplus cookies from FFox. That prevented the Twitter stream from appearing in Google+. Usually with Firefox this close to the release the code between the existing beta and the released version is very close to identical. Decided to remove the addon from Firefox Aurora. I just want to be able to send to Twitter WITHOUT seeing my Twitter in Google+. I can not do that with this extension. There is no way of disabling Twitter feed in G+ and still be able to post to Twitter. There's no Firefox download, or at least it doesn't work. Clicking the Add To Firefox option just downloads the chrome extension, there is no Firefox extension. I've checked, checked and double checked and the FF simply isn't there. If you open the G++ page using Firefox, the download button should lead you to Firefox extension. I downloaded the extension using Firefox 5.01 and everything works fine. all I get is a zip file titled gpp_2_2.xpi. When I extract the files there is only a Chrome extension in it and no instructions on how to install anything. Normally with a FF extension you just click the Add to Firefox button and it installs automatically. Maybe you could try to open the .xpi file from Firefox ('File - Open' and choose the file). I hope this workaround could help. Glad that everything works fine. Instead of selecting download choose open w/ firefox. It will install and works. 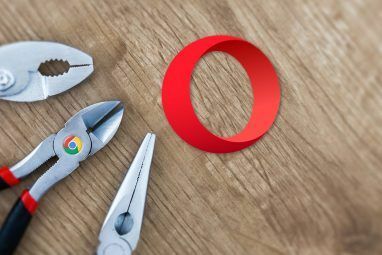 I've been using Start Google Plus for Firefox, which works fairly well. I'll stick with that for now. Hi, there. I got excited with your post, downloaded the application but it is not working. I am not really a tech-savvy guy, so there is little I can do by myself to find out what it is not working. Can anyone offer me a hand? Should I simply uninstall it? Can you be a bit more specific about your system? I tried the extension using Chrome 13 and Firefox 5 under Windows 7 and Mac 10.6.8, and found no problem. Working fine in Firefox. Did have to specifically allow pop ups and cookies, then refresh my G+ page. I use Chrome. I had to allow pop-ups in adblock plus for it to post to FB/Twitter. Google Plus is a Google product....use Chrome. I confirm bluehz's observation - it doesn't seem to work, at least under Firefox 6 beta 3. I disabled AdBlock, just in case, but to no avail. nice. it will save our time.